"Going to the woods and the wild place has little to do with recreation, and much to do with creation." 1. Accept the reality of the death. 2. Let yourself feel the pain of the loss. 3. Remember the person who died. 6. Let others help you -- now and always. 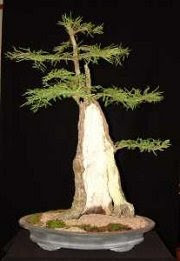 (The cypress is associated with the god of the underworld. The cypress is an evergreen, cone-bearing tree whose branches are often meant to represent grief or mourning. On December 11, 1970, three days after RTN returned from Vietnam, an exhibit of drawings and paintings by Vincent van Gogh opened at the M.H. de Young Memorial Museum in Golden Gate Park in San Francisco. Sometime between December 11 and January 31, RTN and I waited in line in the winter sun to see that exhibit which must have included The Starry Night, with its cypress tree in the foreground. I am eternally grateful to RTN for bringing me to see that exhibit. 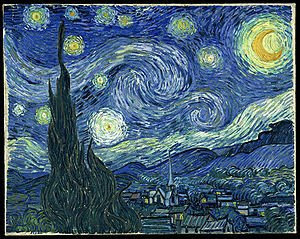 I remember standing in front of one of the self-portraits and thinking, "We are all standing where Vincent van Gogh once stood." There WERE good days after he returned from Vietnam. That was one of them. It was on that day that we sat together on a bench between the museum and the Steinhart Aquarium and looked up to see a crow skip by in the way happy children do. We looked at each other and began to laugh in delight. Each time our eyes met we laughed harder. Together they come, and when one sits alone with you at your board, remember that the other is asleep on your bed. The best way I have ever found to deal with grief is to tell the stories, and remember with laughter. The tears hurt less bubbled up in delighted memory. "Delighted memory." Yes, that's it.